I like a clean forum posting so I apologize for the amount of spoilers. I have decided to start making the textures again, although I don't think I will make a complete texture pack, instead I will focus on ores from many different mods. This can change, however there are textures I don't want to change, and I like. LB photo realism RPG Trees grass dirt, maybe wood the chests all of those I really like. Maybe ill ask to include all the textures I like. Most textures I will do will have random textures to follow. 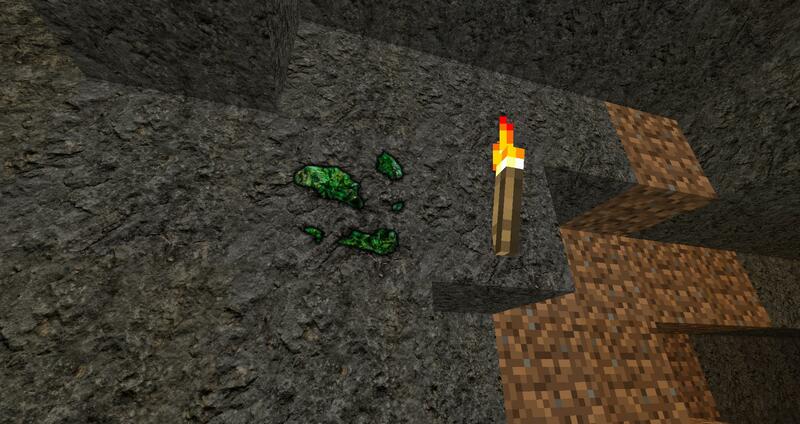 each ore will have only so many random textures to go with it. See Todo list. My Textures will be of mods mainly from FTB Ultimate Modpack. However I will try and make ores to match mine on request for other mods, ONLY after I have completed FTB Ultimate Modpack. 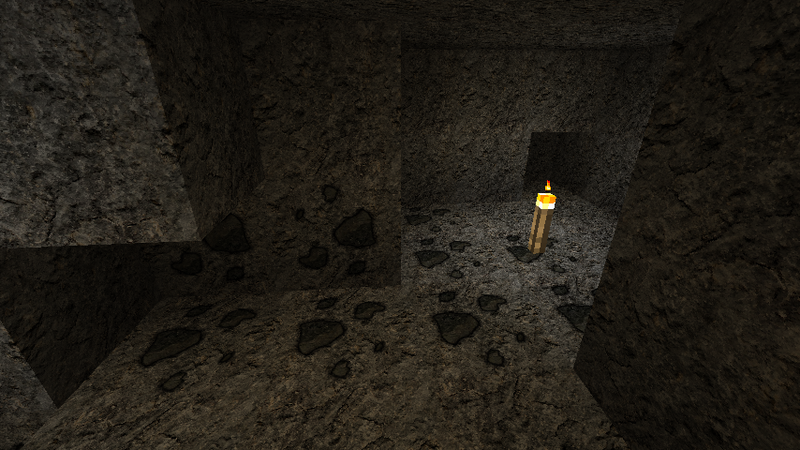 Textures will be 256,128,64, I have not tested how they look at 32. 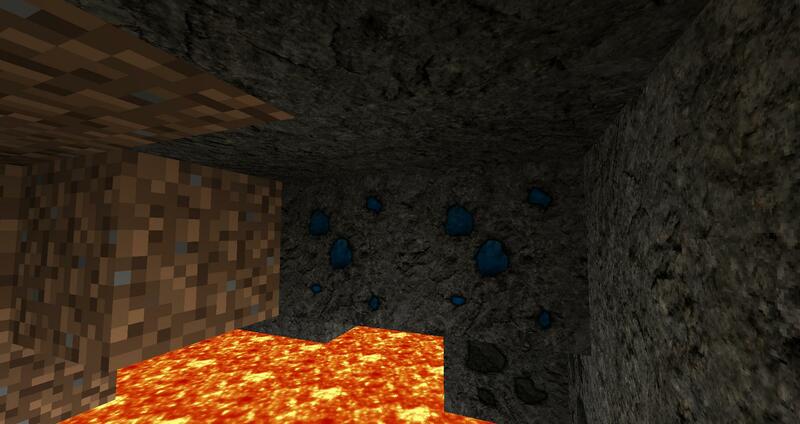 I will be posting only 1 or 2 of picture of each ores from here on out. Mods planned after I finish the main part:..
WildCaves. Textures to match and even some random. Example of lower resolution textures. 64 will need a little touch up to make them look right. 128 looks pretty good, still will touch up if need be. 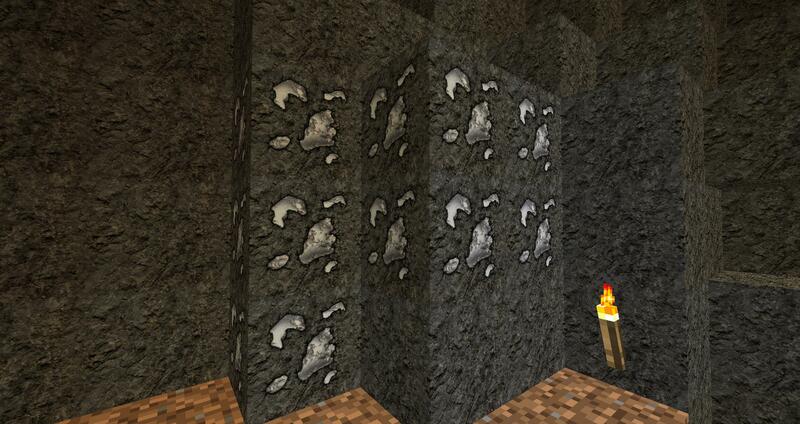 Here are the Vanilla Ores of Minecraft, You can also see the stone they are with in the pictures. 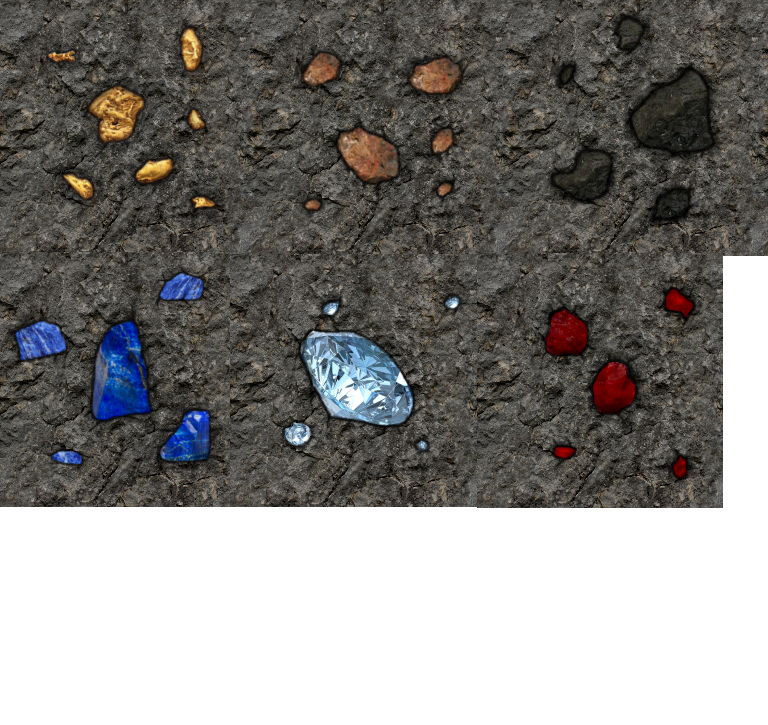 Iron: I have finished all 8 of the randomizing textures. Coal: I am doing a rework on coal. New pictures will come later. 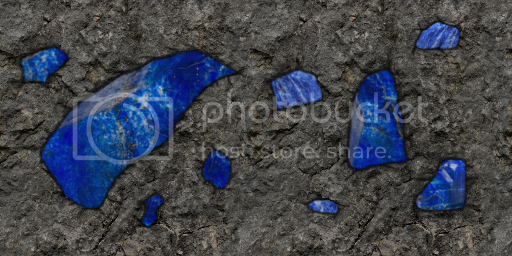 Lapis lazuli: I have finished all 6 of the randomizing textures. Copper: I have finished all 8 of the randomizing textures. Uranium: I'm probable going to do a rework. Silver: I'm probable going to do a rework. Nikolite: might still redo this. Ferrous: I like all 4 random textures and will keep these. 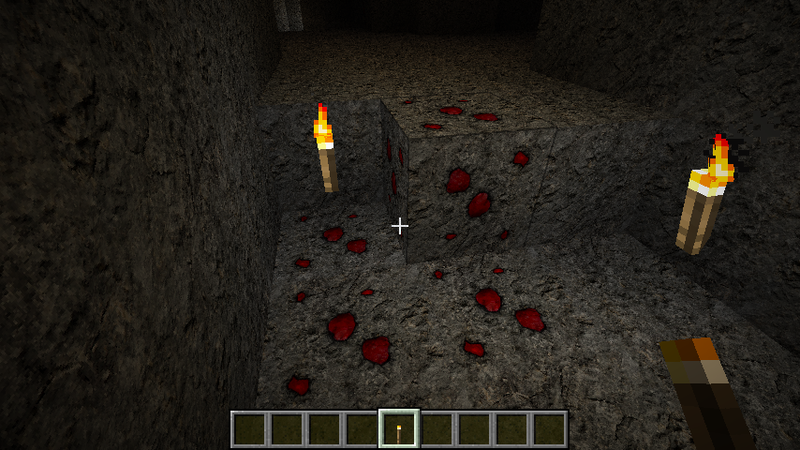 Ok so I am going to separate the mods out, for ores and other textures I change. 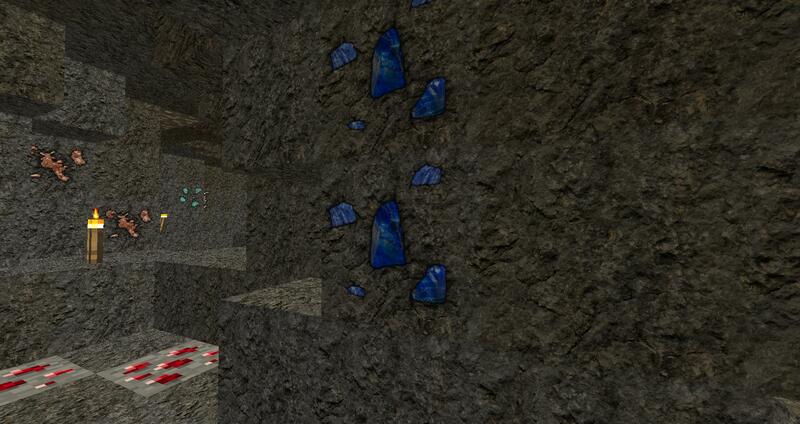 Here is an example of my ores randomized. 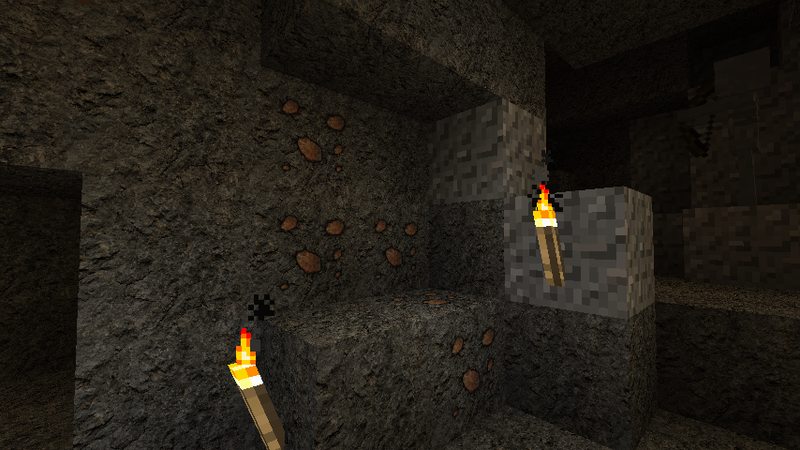 Both of these are not finished and are just an example of how the randomizing ores will look. 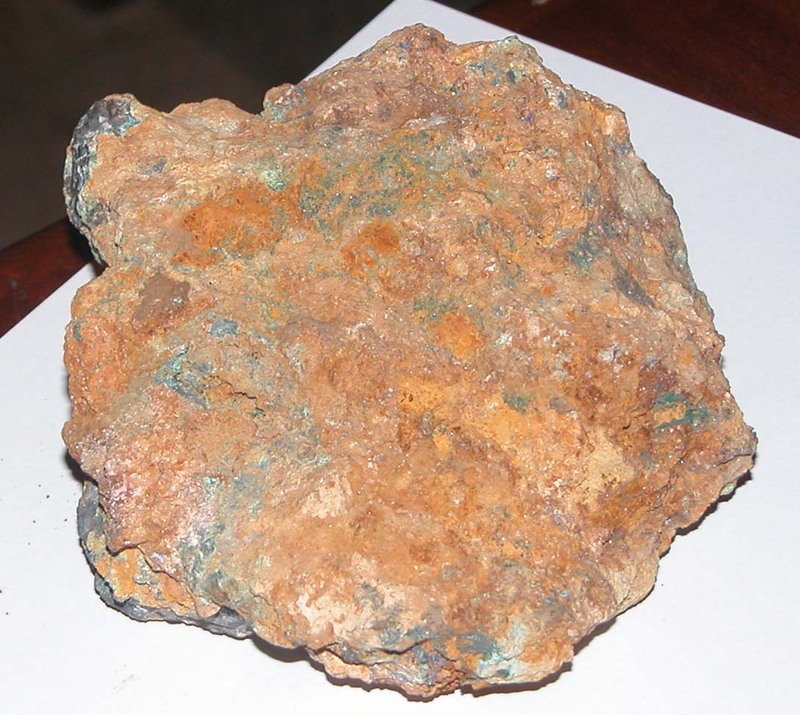 Here is Ferrous ore from Thermal expansion. Here is the normal stone look, and a variant for it. Uranium, Is planned for a rework, I dont like this one. Done so far: 5 --Full random set--Iron, Lapis, Ferrous, copper, coal. 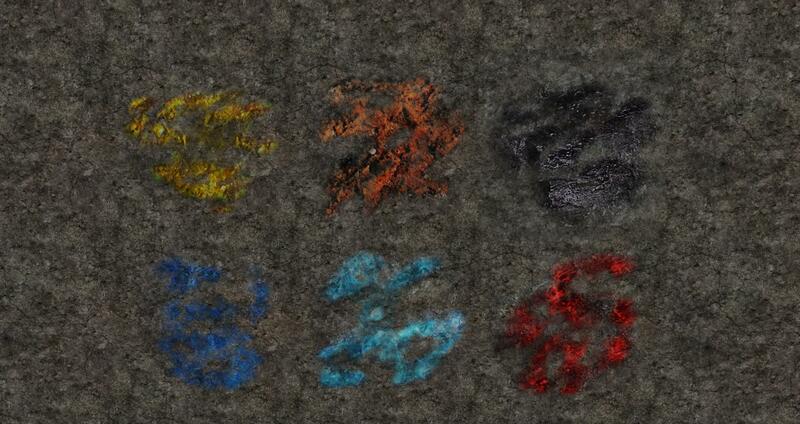 Ok so here is the list of the random textures and how they will be, including what is going to change. Stone will have many variants if I can get it, I want somewhere around 12 to 16 for stone. 1. Iron Done 8: Still need to fix a few things before I can say I like these. 2. Coal Done 8: I like these very much. 3. Redstone 1 Doing rework. 4. Copper Done 8: Still need to fix a few things before I can say I like these. 6. Nikolite Done 8: Don't like will be an alternate set to use, for either nikolite or apatite. redoing it. 7. Apatite Done 8: I like the apatite, might need redone, will wait for everyone to decide that. 4. Lapis lazuli Done 6: I am happy with these. 6. Ferrous Done 4: I am happy with these. 9. Cinnabar Done 4: I am happy with these. 10. Amber baring stone Done 4: I am happy with these. 9 and 10 are not quite done, I just need to finish imbedding them into the stone, but these I like for there respective ores. And all the infused stone from Thaumcraft I might try and do something with. This folder contains 90% of my textures, they are for manually adding and require renames as they are not named the correct names, They are not allowed to be re-uploaded at all, these are for private use only please, Do not add to any other texture pack for download. http://www.mediafire.com/download/p5b18leiuhaceq3/Grey_Textures.zip Last but not least, enjoy the textures, and I will continue to work on these, just slow. Also, if anyone wants specific textures for specific ore done for a mod, go ahead and ask, I have been out of the loop for the new mods that have arrived and thus don't know How many there are :). 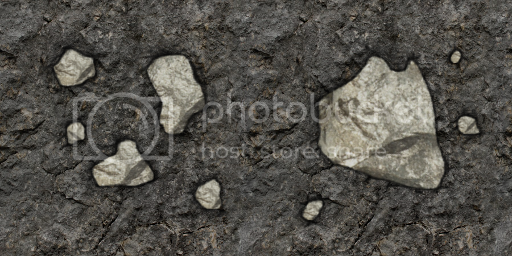 Google For the free stone texture that I love. For contacting me, and for helping with in game pictures. Coppercookie For the name suggestion. And thank you everyone else that suggested. This is for everyone who is wondering. that's where it takes forever to make them look like there in the stone. Just takes along time to combine edit pick out highlight and shade them. If you want to support me Copy one of these pictures to you signature. These will link back to this topic. Please report if the signature links don't work. You... made these? Amazing job, really. Oh, and I like the first copper better. The virus scan is also a virus. Then.. All hope is lost. I also need a name any suggestions? I like the middle copper texture. If you had more pictures I could think of a name, it is hard to come up with something when you only give us pictures of the ore.
How did you make these? This is amazing! A work of art. Did you make these from scratch? I mean it, if this ever comes out, it will be really popular. It has so much quality and detail. It looks so real! I hope this becomes popular, I will try to bump this page until this becomes a popular thread! I have taken the copper and silver out so I can match the two up, sorry for the poor pasting. 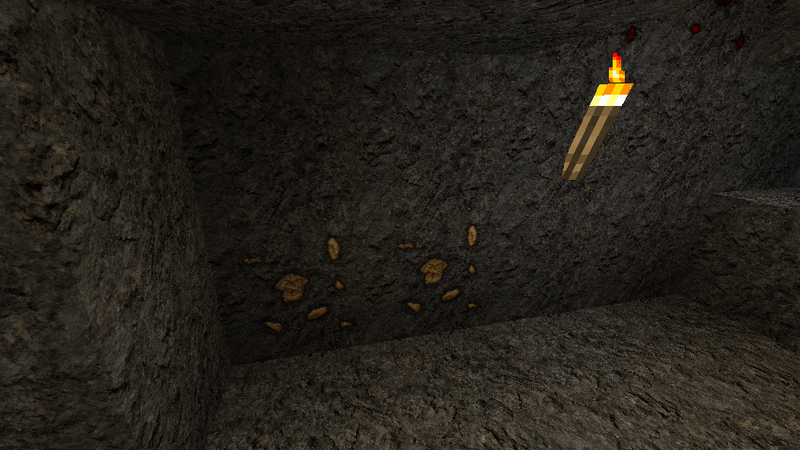 Look out how real your textures look, and look at the other ores. I don't really know what to name it lol, I just made the textures they turned out better then I thought. These ores are from the ultimate modpack from feed the beast. 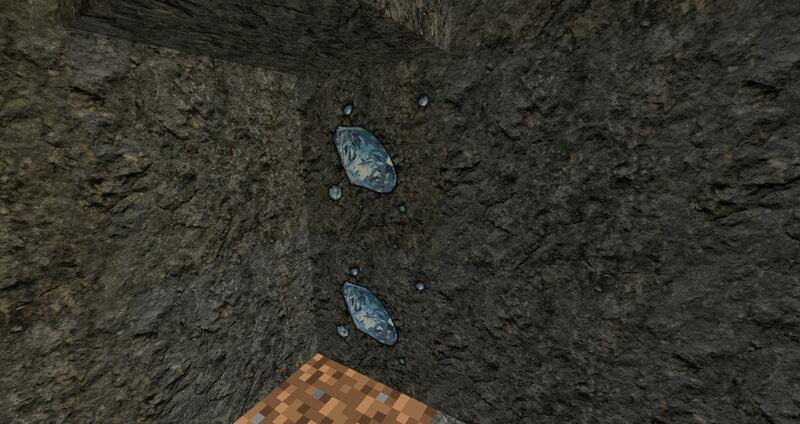 And the ores that ill make are. These are the ores of played with, and like most of them. Silver, lead, tin I want to change around there looks, and Quarts I have never used originally was made for diamonds more of a rough look. 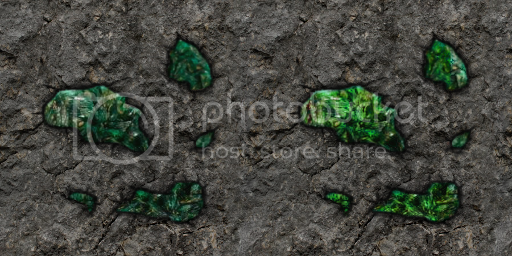 I Will make this as alternate texture ores, I don't really know how I'm going to set this up, but ill try. Ores for Gregtech I might do as well, all these textures are my personal liking when I play so that's how I'm going to make everything. This is amazing. I don't usually like realistic textures, but these are amazing. What does regular stone look like? 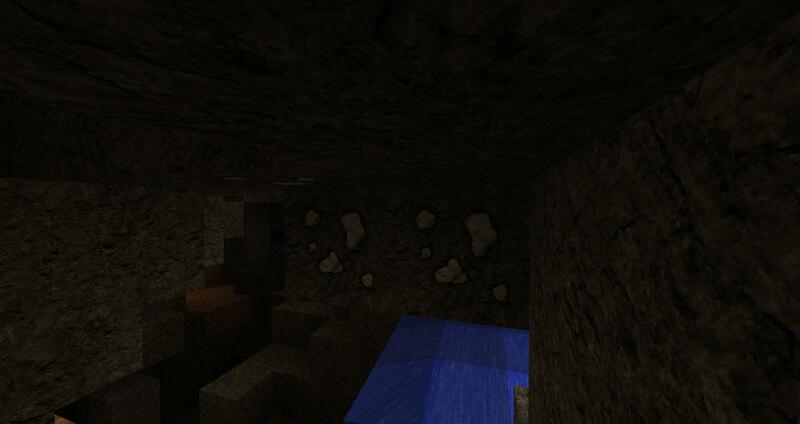 just like the ores stone without the ores :P, they all tile pretty good, ill see about getting a picture of the stone. 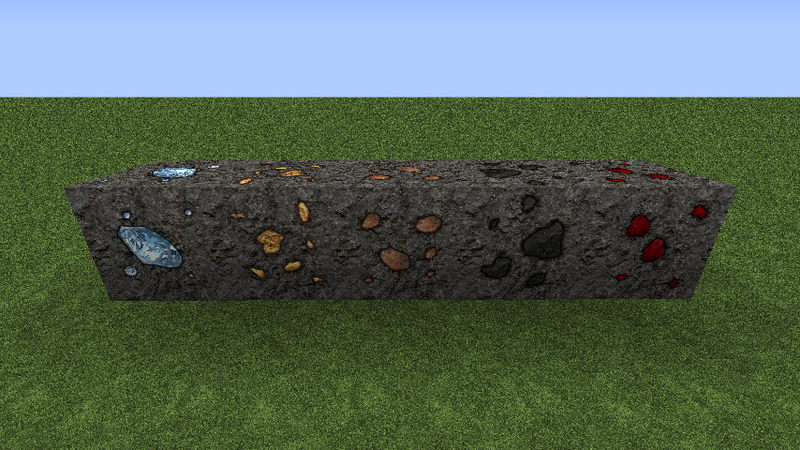 However similar to the ores I want to make the stone random so it looks a bit more natural. 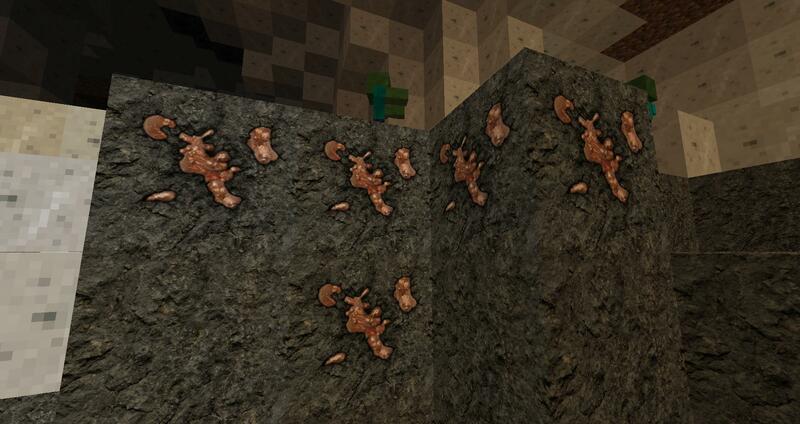 These are 8 different iron textures this is what I want to do with all of the textures. I made these awhile ago, and are not totally finished, they need work but this is what I wanted to show. Looks great, please keep us updated and not forget. I really like the look of the mod! P.S name the texture pack after what you think would be best, you really need to change the title. what is that type of texture pack called? The one with multiple textures of one block? I would actually like to know what program you used to edit the photos? But I will take a quick guess: PhotoShop? Not a single piece of rock but actually a bunch of different ores such as Azurite, Cuprite and Bornite!